An iconic Hongdae music festival will start up again after a four-year halt, a music industry official said Wednesday. According to the music agency Company F, the “Live Club Day” festival will resume on Feb. 27 with the participation of 10 live clubs and 40 teams of musicians. 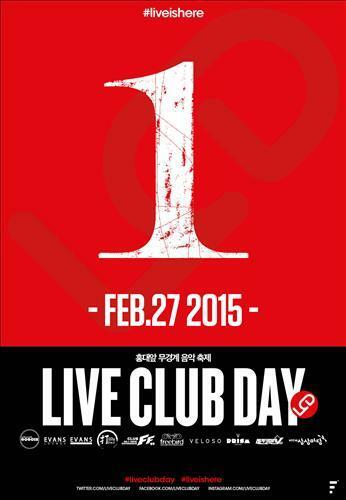 Live Club Day, which will be held on the last Friday of every month, will offer music lovers access to different clubs in the Hongdae area with the purchase of a single 20,000 won ($18) ticket. Six live clubs and four theaters in Hongdae are expected to work together to create creative programs for the festival. The festival, which began in 2001, gained huge popularity among young clubbers until it stopped running in 2011. It is credited with having shaped the vibrant and energetic Hongdae music scene.